Of course the spareribs were a must try and did not disappoint. 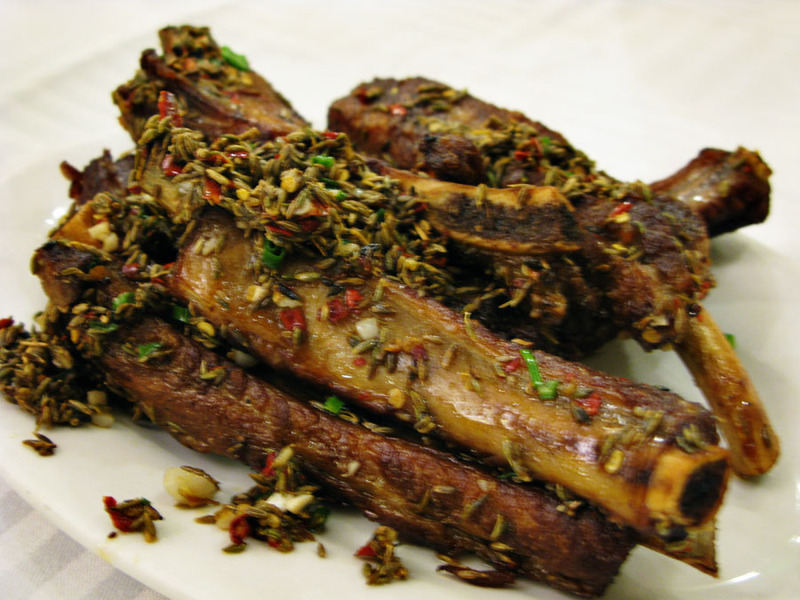 Coated with herbs and tender to the point of falling off the bone, it’s easy to see why the Zin Ran spareribs (58RMB) are a local favourite. 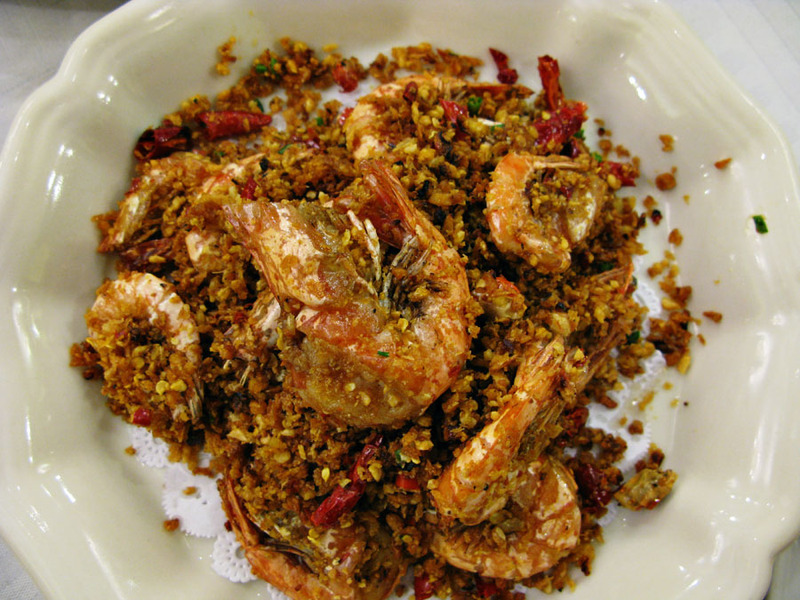 Next up we tried the Mandarin Fish with Pine Nuts & Sweet and Sour Sauce (98 RMB) and Mao’s Quick Fired Shrimp. Both presented super fresh seafood, expertly prepared and beyond delicious. 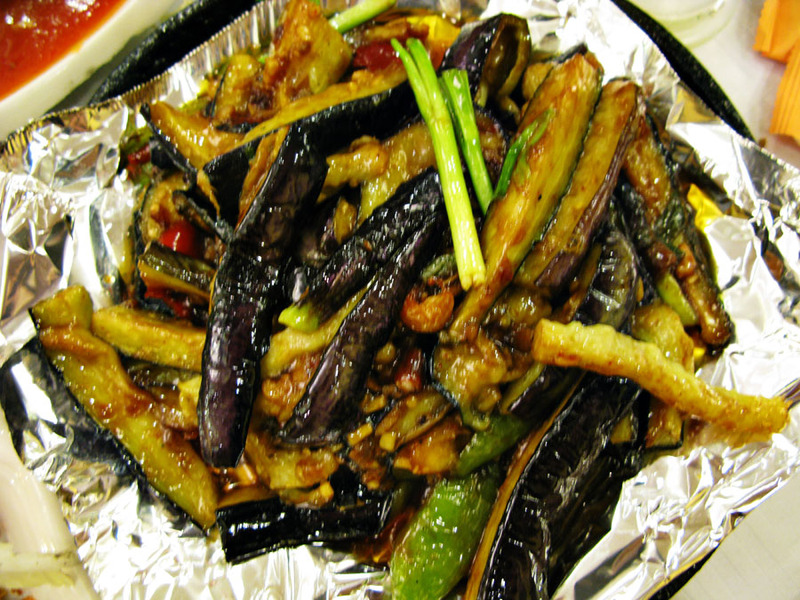 And to compliment the abundance of proteins, we ordered the Sizzling Eggplant. Now I love eggplant and this was perhaps one of the most addictive eggplant dishes I have had in a long while, rich yet not heavy. Joerg was right. Di Shui Dong had perhaps the most succulent spare ribs in Shanghai. 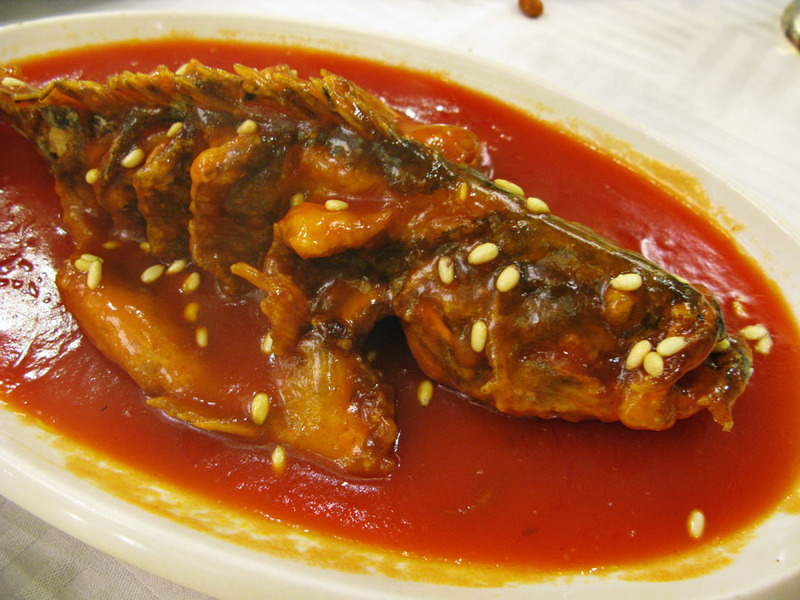 But more than that, everything was amazing and presented at surprisingly low prices for such skillfully prepared, classic Hunan cuisine. 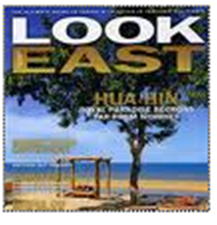 Note: the staff hardly speaks any English, but the menu has English and photos so you can point. Also, the toilets only have squatty pottys – consider yourself warned. 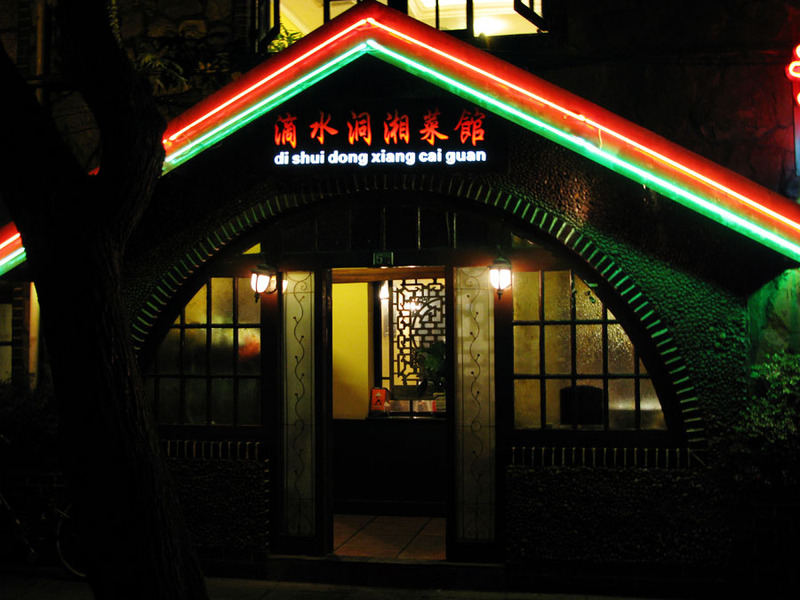 If you liked Di Shui Dong, you should check out this place on Yongjia Lu next time you’re in town – don’t let the mushrooms put you off, the food is great! 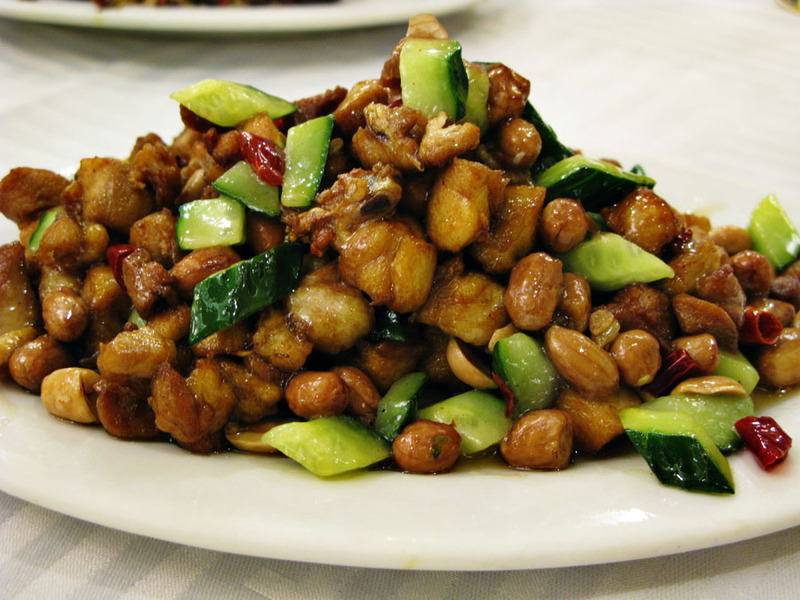 Without any doubt the best food in Luwan District – I have enjoyed the cumin ribs each and every time I have been to Shanghai and I am very close to have a ‘ziran paigu’ tatoo on my inner thighs! 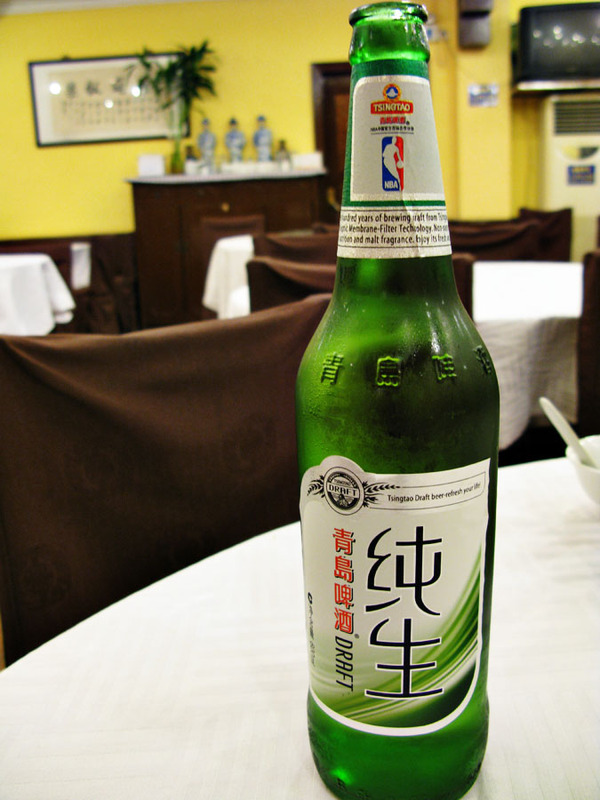 Just came back from Shanghai last week. 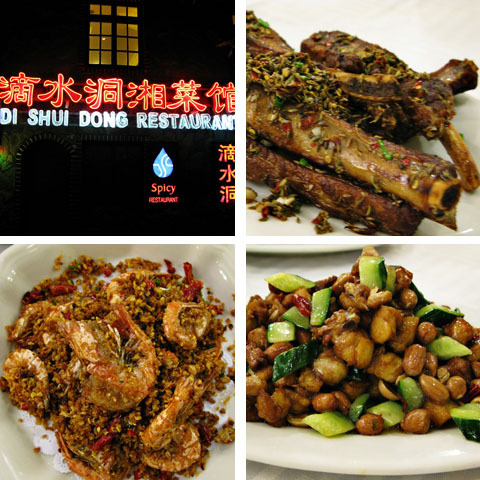 One of the highlight of the trip is definitely eating at Di Shui Dong. I had the spareribs, eggplant string beans stir fry, and banana fritters. All were yummy!